With temperatures soon reaching the 90's again tonight was a time to take advantage of one of the last opportunities to use the oven this season without regret. I fear the next few months may be a time to make a lot of chilled soups and other various cool meals. 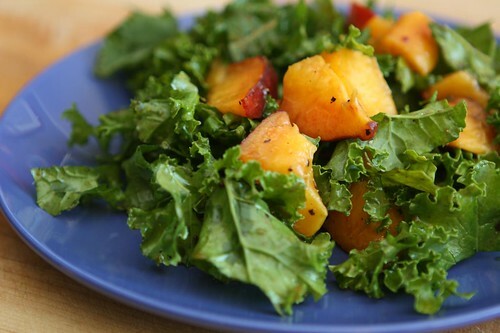 I made a quick salad with some peaches that were a little past their prime, kale, balsamic glaze, olive oil, salt, and pepper. I considered adding some feta but this salad was pretty tasty without it. 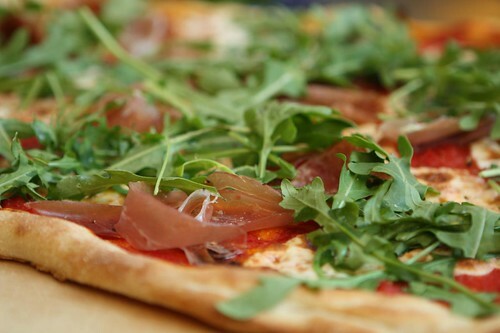 I got this 00 flour from Terranova Bakery so I made some pizza with it along with crushed Jersey tomatoes, La Quercia prosciutto, Satur Farms arugula, and homemade mozzarella. 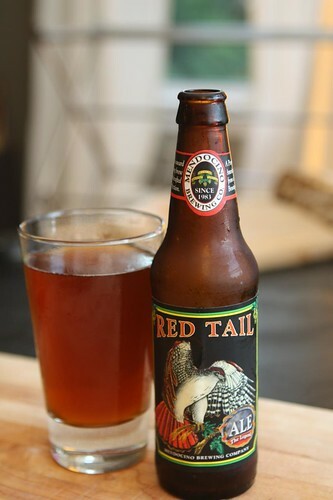 For beer I had this Red Tail Ale from Mendocino Brewing Company. I had also chilled a few beers for Jen in the freezer and, as is often the case, forgotten them. Since here beers were ruined by my ineptitude I poured her one of the Rickard's Whites in the fridge left over from our Canadian sojourn. When leaving Rhode Island last week we visited a friend who had wild rhubarb growing in his yard. Being the tactful guests that we were we asked if we could hack some stalks away and take them home with us. Apparently he hates rhubarb so his terrible taste was our gain. 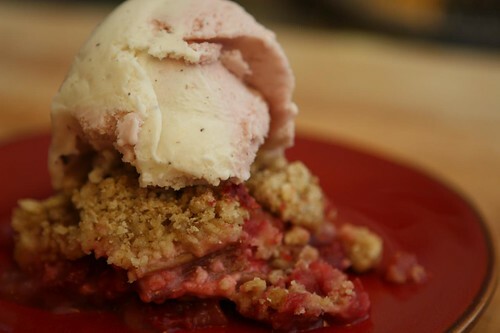 Jen turned the Rhode Island rhubarb into a crisp with some Connecticut strawberries. We topped it with vanilla and strawberry gelato from Cold Fusion Gelato. In an unexpected turn Jen selected the movie Highlander on Netflix and we watched this as we ate the pizza. This is almost the last movie I would expect her to choose to watch for the evening. I think she is still a little in shock after the parking garage sequence and the Queen intro. There can only be one lousy 80's movie to watch with dinner.